EastEnd Press offers a commercial screen printing service producing hand printed items for local businesses. The maximum print area size is A1. As long as the texture is smooth there are no limitations of thickness of printing surface; wood, glass and fabric can all be screen printed onto, you're not just limited to paper. Any colour can be printed and theoretically there is no limit on the number of colours available to print on each item but be aware that each colour involves another print run so increases the time and cost of the project. You will also hire out the equipment if you want to print things yourself. 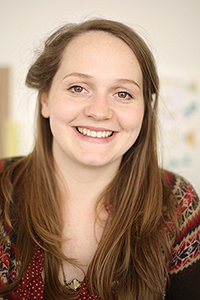 Ellie is an Illustrator and has always loved working with Screen Printing in her own practice. She set up East End Press in 2015 in response to her own frustrations as an illustrator struggling to find anywhere local that would screen print her work. Aside from the Glasgow Print Studio, she found that was nowhere in Glasgow providing an affordable screen printing service in short to medium runs for local businesses.